The administrator can change the password of the local users on the computer using the Local Users and Groups (lusrmgr.msc) graphic snap-in. To change the password of an AD domain user, the Active Directory Users and Computer (ADUC) GUI console is mainly used. However, in some cases, the administrator may need to change the user’s password from the command prompt or within some script. In this article we will show how to manage user’s passwords (both local and domain) using PowerShell. How to Change Active Directory User Password with PowerShell? To change an Active Directory user password, use the Set-ADAccountPassword cmdlet from the Active Directory module for Windows PowerShell. Of course, the user who runs the cmdlet must have domain administrator privileges or should be delegated to reset passwords of an AD users. Enter the new password in the PowerShell console. How to Change the Password for a Windows Local Accounts? 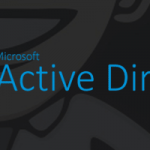 To change the passwords of local Windows users, you can use the ADSI (Active Directory Services Interface) API, which can be used to interact with Active Directory or with stand-alone computers. The same commands can be used to change the user’s password on remote computers. It is enough to replace [adsi]$user = ″WinNT://./ConfRoom,user″ with the command [adsi]$user = ″WinNT://RemotePCName/ConfRoom,user″.